I went to my first ever math contest! 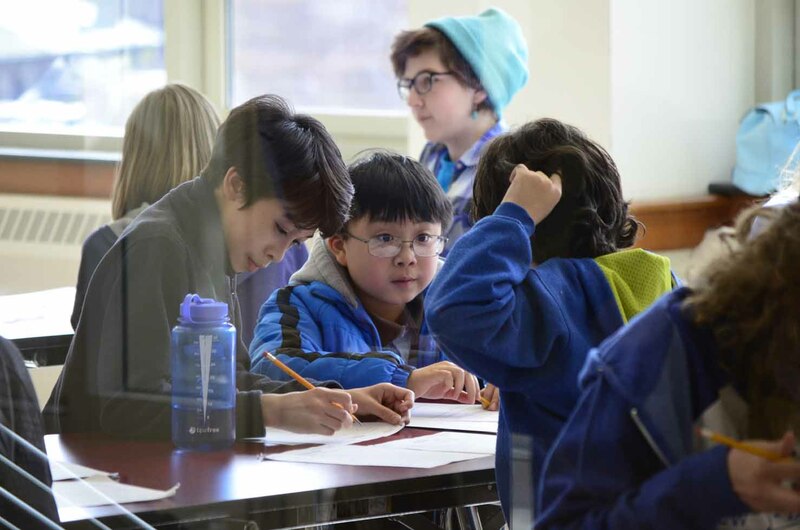 It was called the St. John’s High School’s Spring Math Invitational. I was both excited and nervous! I was one of the 9 students from my school who were invited to join the other 340+ students in the competition! All the students were from middle schools in the surrounding school districts. My team consisted of two 6th graders (including me) and one 7th grader. There were three individual contest sections (Algebra, Arithmetic and Geometry) and each student needed to finish two of the three sections. After an introduction from St. John’s High School assistant principal John Morse, the contest began. All the students participating in the Algebra section went into the humongous school cafeteria. I participated in the Arithmetic and Geometry sections. Each section was 10 minutes long and contained 3 challenging questions with increasing difficulties. Considering that I was one of the youngest kids in the contest, I found some of the problems very difficult. After the individual sections, there was a team round. The team contest had 8 questions to answer in 10 minutes. The problems ranged from simple algebra to outrageously mind-boggling diameter problems. My team collaborated wonderfully and answered most of the questions. At the end, R.J. Grey Junior High School won this year’s contest with a perfect score (a record never achieved since the contest started 19 years ago), Advanced Math and Science Academy Charter School secured 2nd place and St. Mary School earned 3rd place. Even though I didn’t achieve outstanding results in the contest, it was a very good experience for me. I also met some contestants from other schools over the refreshment break. I would like to thank St. John’s High School for coordinating this event. I hope the school will keep this annual math event for many years to come.